This November, national and local leaders will gather in Rochester to discuss a challenge identified by Martin Luther King, Jr., that still plagues the United States: the ever-present link between poverty, racism, and violence that oppresses people in our communities. Episcopal Church Presiding Bishop Michael Bruce Curry and Rochester Mayor Lovely Warren will join a group of other civic and religious leaders in addition to youth from Teen Empowerment to explore concrete ways to support people traumatized by these forces. The event, From Nightmare to Dream: Overcoming the Unholy Trinity of Poverty, Racism & Violence, is free and will be held at Integrated Arts and Technology High School, 950 Norton Street, on Sunday, Nov. 6, 3 p.m. to 5 p.m. 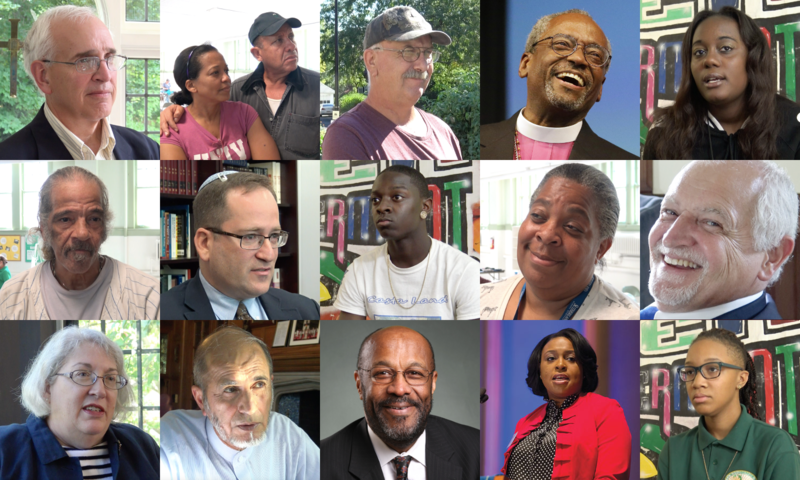 The audience and panelists will view a short documentary video featuring interviews of local faith leaders and everyday people talking about poverty, racism, and violence in their communities and lives. Afterward, Curry will speak about these challenges on a national scale, followed by a panel discussion focused on developing clear steps and strategies for change. The panel discussion, which will include young members of Teen Empowerment and Mayor Warren, will be moderated by Hélène Biandudi Hofer, host of Need to Know on WXXI News. Attendees will be challenged to take specific, tangible actions after leaving the event. Bishop Curry, who serves as the elected spiritual leader of the Episcopal Church’s three million adherents, will be present at several public forums and worship services that week. A native of Buffalo, Curry graduated from Hobart & William Smith Colleges in Geneva and earned a Master of Divinity degree in 1978 from Yale University. Before becoming presiding bishop, he served as the 11th Bishop of the Diocese of North Carolina. He is the author of Crazy Christians: A Call to Follow Jesus. Curry is the first African American presiding bishop of the Episcopal Church and is widely regarded as one of the leading preachers in the United States. He speaks frequently on matters of social justice, equality, and reconciliation. The Episcopal Church is a part of the 80-million member Anglican Communion, whose mission includes transforming unjust structures of society, challenging violence of every kind, and pursuing peace and reconciliation. For more information about Bishop Curry’s visit to Rochester, including registration information for From Nightmare to Dream, visit episcopalrochester.org/curry.